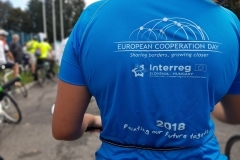 Szentgotthárd/Monošter, 15 September 2018 – Under the auspices of the European Commission and the INTERACT program throughout Europe for the seventh consecutive year, events are taking place at the European Cooperation Day. 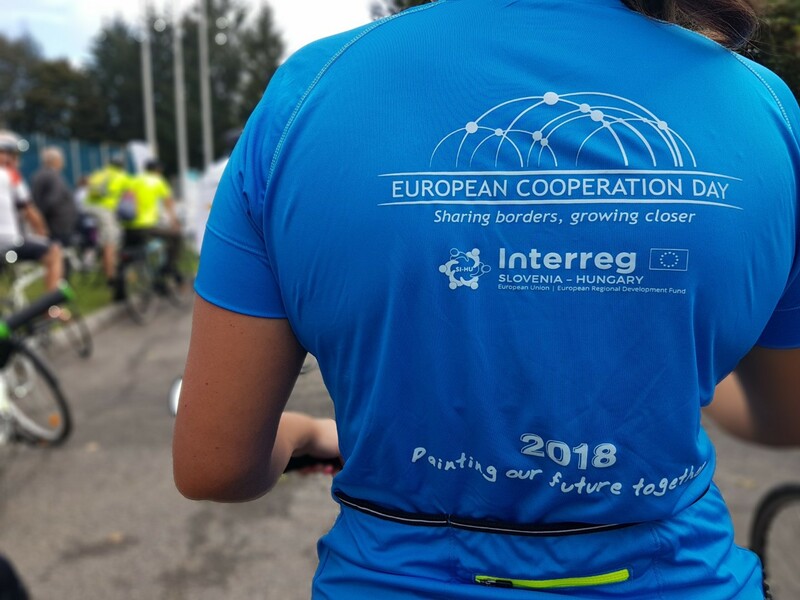 The events of this year’s ECday 2018 take place under the slogan “Painting our future together”, whereby event organizers wish to emphasize the importance of the achievements of European regions and countries in cross-border cooperation. 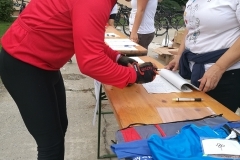 Projects implemented in this context have a significant impact on the quality of living of residents in border areas and bring long-term effects in the field of economy, tourism, cooperation as well as the preservation of the rich natural and cultural heritage. 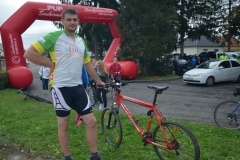 In this area, Slovenia has already with the neighboring country of Hungary realized a number of successful cross-border projects, which form the identity of the border area. 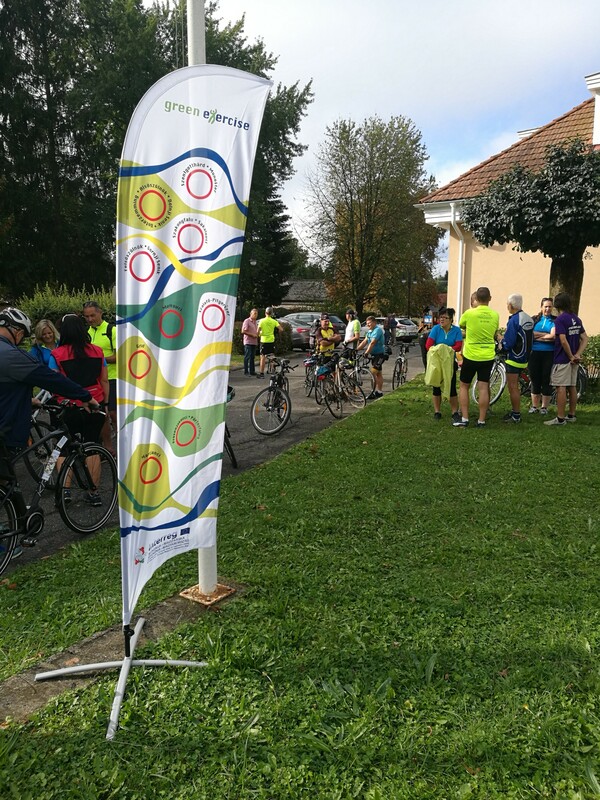 The first results of the co-financed project Green Exercise have been introduced to the participants of today’s cycling event in Porabje. 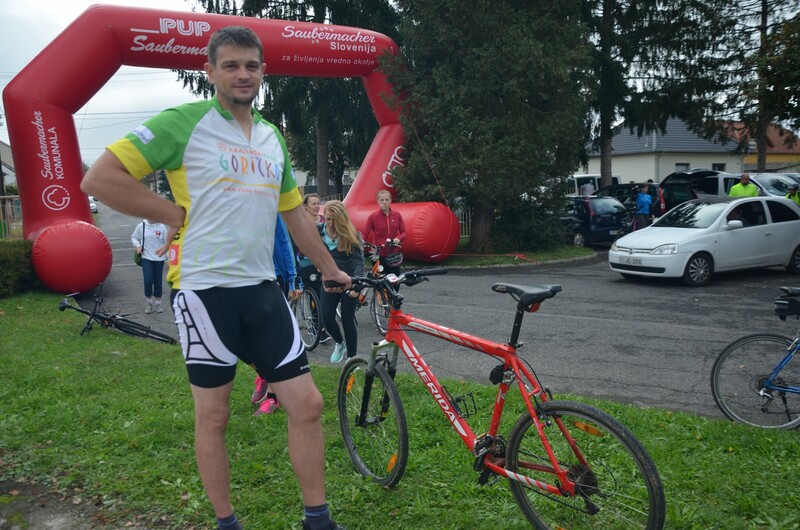 Which has been organized by the Government Office for Development and European Cohesion Policy (PSC), the Managing Authority for the Cross-Border Co-operation Program Interreg V-A Slovenia-Hungary in the period 2014-2020 in cooperation with the project partners of the Green Exercise project and the organizers of 13th recreational cycling marathon Goričko-Raab-Őrszég. 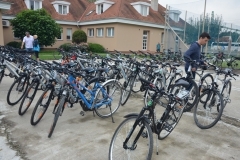 A group of 150 participants from Slovenia and Hungary gathered in Monoštor, Hungary. 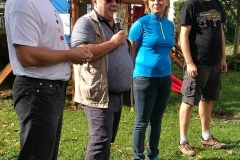 The participants were welcomed by dr. Csaba Neméth, representative of national Park Őrszég, Aleš Mrkela, Program manager of the Cooperation program Interreg V-A Slovenia-Hungary and the Consul General of Republic of Slovenia in Monošter Mr. Boris Jesih. 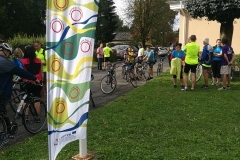 The presentation of the Green Exercise project was followed. 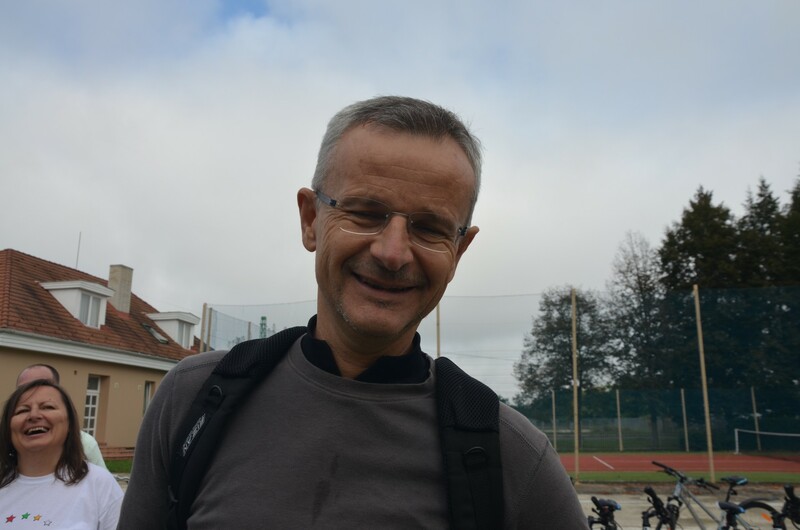 Representative of the project’s lead partner emphasized that the project seeks to promote the existing cross-border cultural and natural tourist offer of the Slovene-Hungarian border area, and this is complemented with a special emphasis on a healthy lifestyle, a sustainable and environmentally friendly mode of transport (especially cycling). 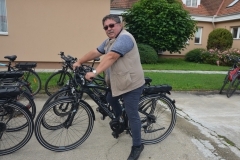 To achieve the goals, the existing cultural and natural tourist elements with developmental elements planned in the framework of the project through cycling and hiking trails, as well as the creation of “green parks” on both sides of the border will be linked. 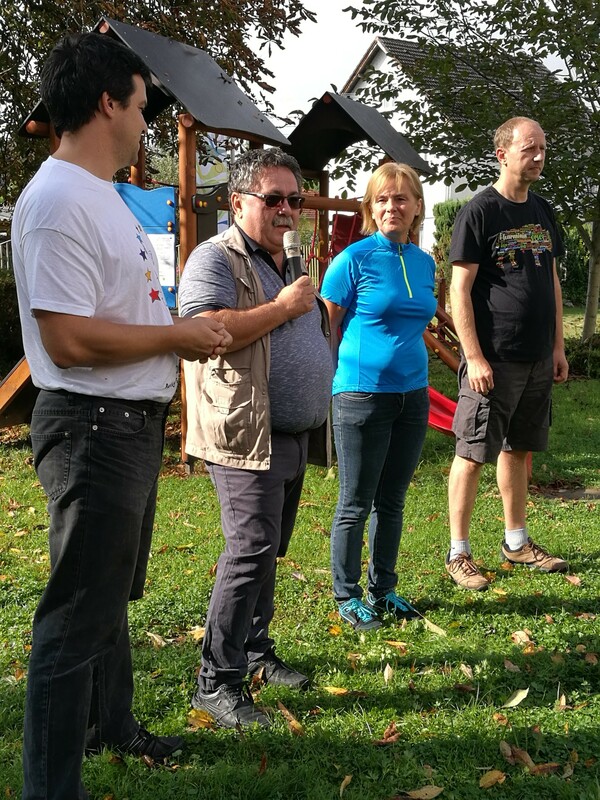 The presentation was concluded with the opening ceremony of one of the nine planned green parks, the Green Park in Monoštor. 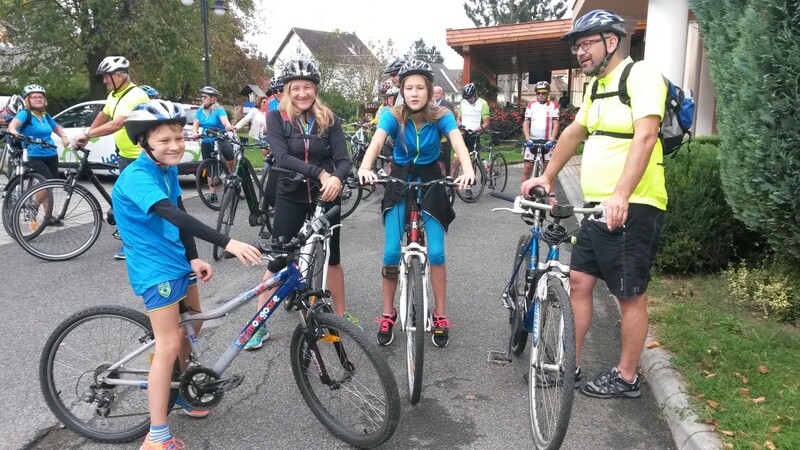 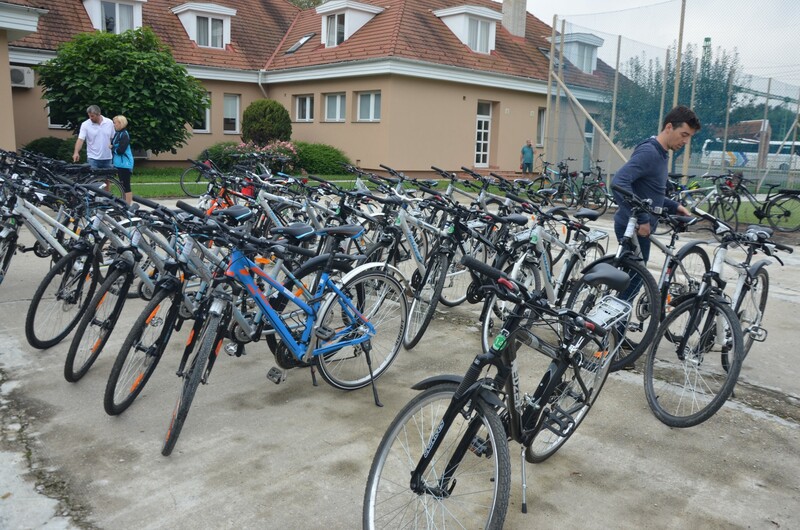 The participants then went for biking around the area between the Slovenian and Hungarian border. 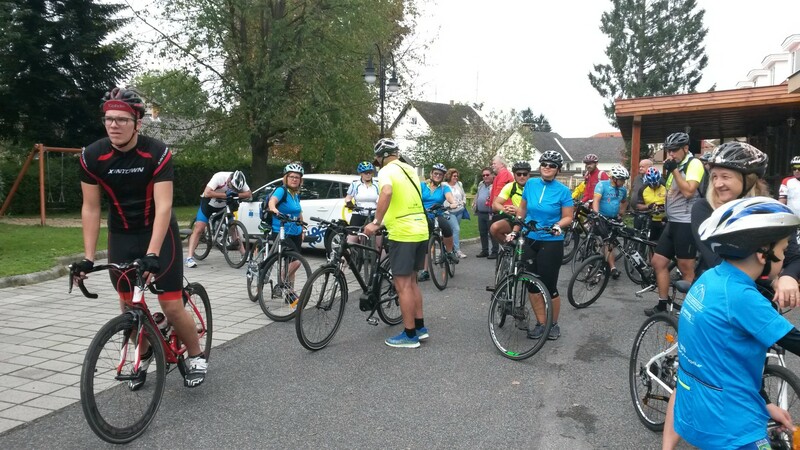 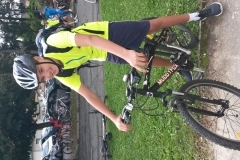 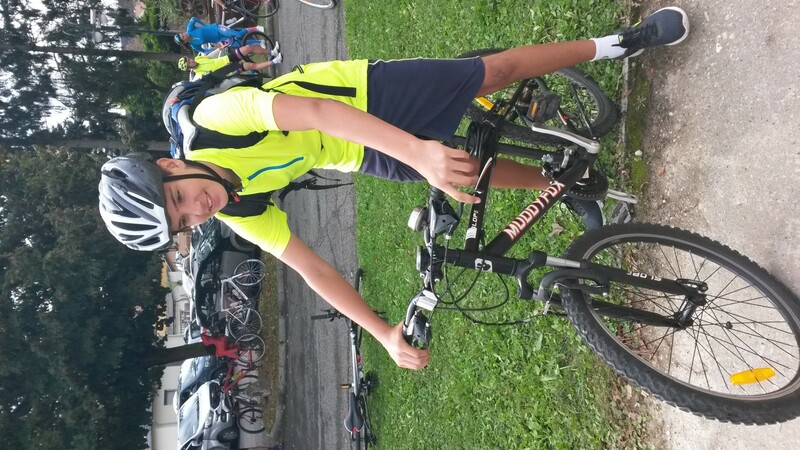 Cyclists were offered two tours, shorter 35 km and longer 90 km. 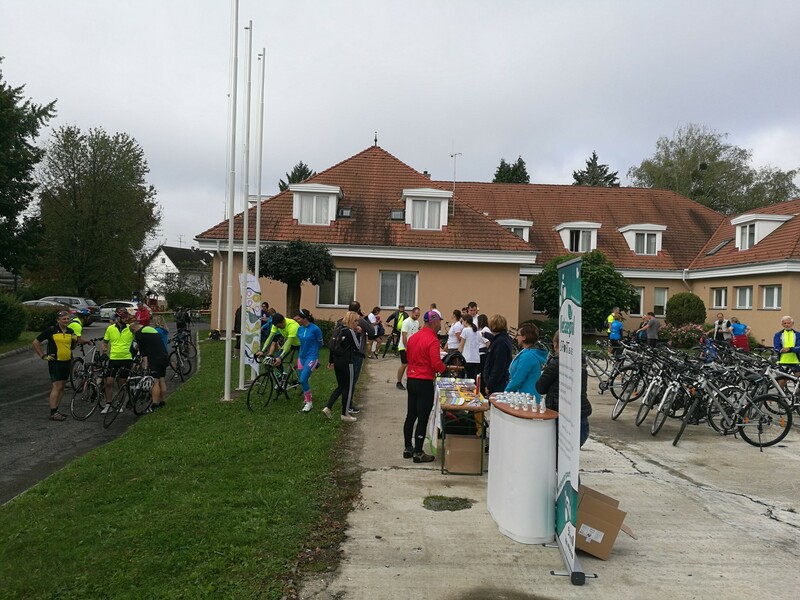 The shorter distances led the participants from the Slovenian Cultural and Information Center in Monoter to the Slovenian-Hungarian border in Čepinci, where the first refreshment station was. 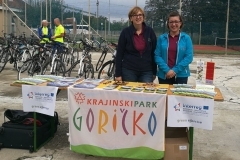 There was a return to SzentGotthárd with second intermediate stop in Dolenj Senik / Alsószölnök, where Zeleni park Dolnji Senik was set up within the Green Exercise project. 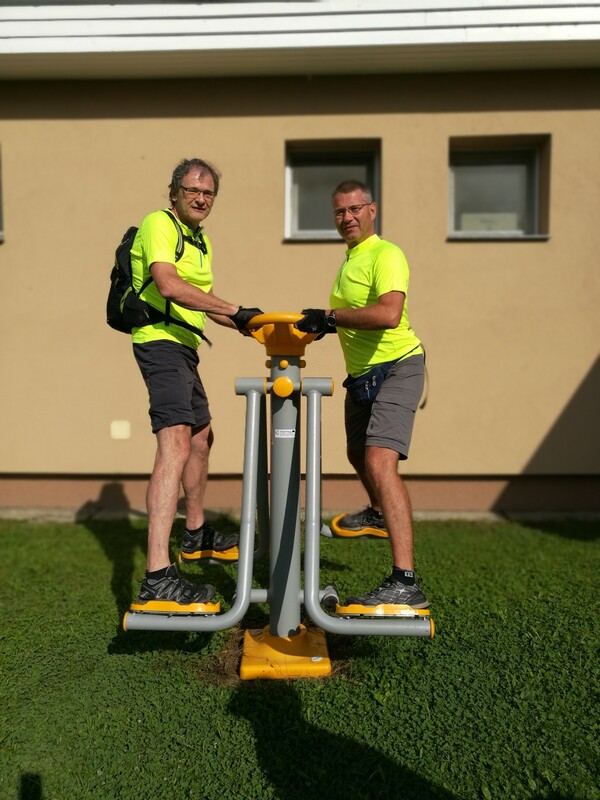 A 90 km long tour led participants from Monoštr to the Slovenian Hungarian border on Hodoš and refreshment stations in Markovci where the Hostel – Peterloug was set up by the project. 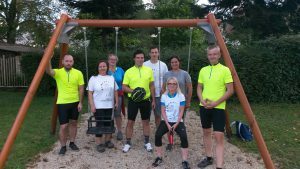 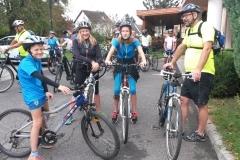 It was followed by cycling until the next stop at the castle Goričko and then a return to Monošter via the border crossing of Martinje with the last stop at Zeleni park Dolnja Senik.  The event presented a nice opportunity to exchange experiences, opinions and, of course, socialize representatives of various institutions and the public.